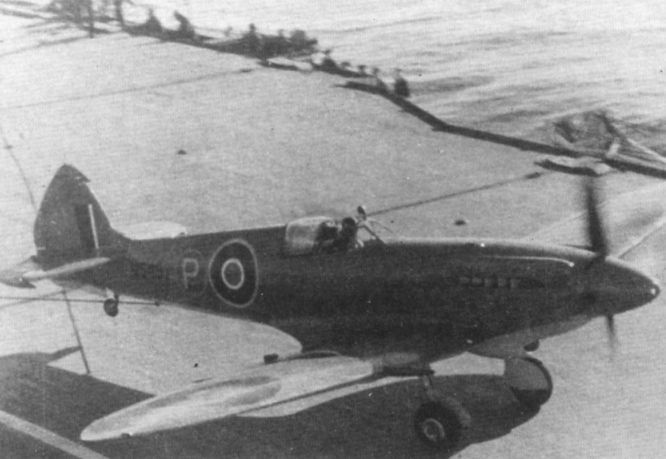 Eric Brown making the initial deck landing of the prototype Seafire XV aboard HMS Indefatigable on March 26, 1944. Indefatigable on March 25, 1944. 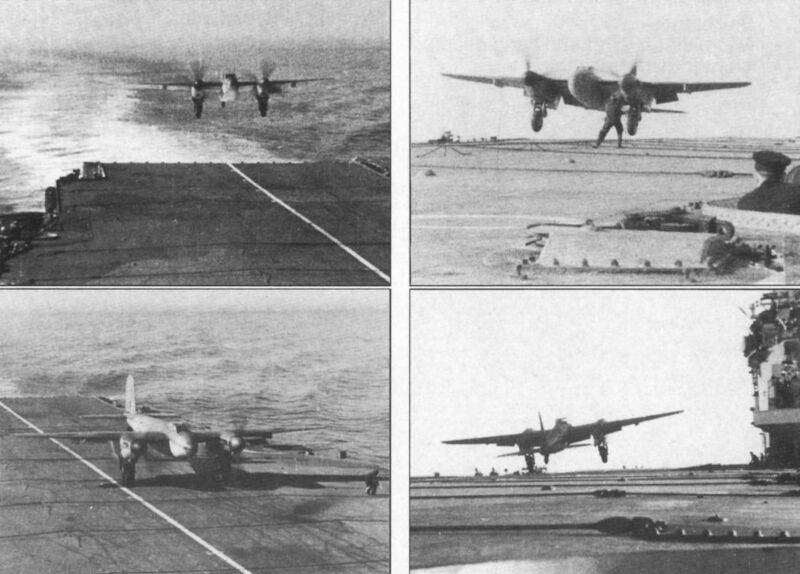 The occasion marked the first landing on an aircraft carrier by a British twin-engined aircraft.